Dublin is known for sightseeing, breweries, museums, nightlife, and historic sites. Your plan includes some of its best attractions: steep yourself in history at Kilmainham Gaol, sample the fine beverages at The Old Jameson Distillery, admire the striking features of Saint Patrick's Cathedral, and take in the architecture and design of Trinity College Dublin. To find traveler tips, more things to do, where to stay, and more tourist information, you can read our Dublin vacation planner. Use the Route module to find suitable travel options from Quebec City, Canada to Dublin. The time zone difference when traveling from Quebec City to Dublin is 5 hours. Traveling from Quebec City in June, things will get little chillier in Dublin: highs are around 20°C and lows about 10°C. Cap off your sightseeing on the 19th (Mon) early enough to go by car to Galway. Venture out of the city with trips to Bunratty Castle and Folk Park (in Bunratty), Cliffs of Moher (in Liscannor) and Aillwee Cave (in Ballyvaughan). It doesn't end there: explore the wealth of natural beauty at Connemara National Park and take your sightseeing to a higher altitude at Hillwalk Tours. To find other places to visit, maps, and other tourist information, refer to the Galway travel planner. Traveling by car from Dublin to Galway takes 2.5 hours. Alternatively, you can take a train; or take a bus. Expect a daytime high around 20°C in June, and nighttime lows around 12°C. Finish your sightseeing early on the 22nd (Thu) to allow enough time to drive to Killarney. 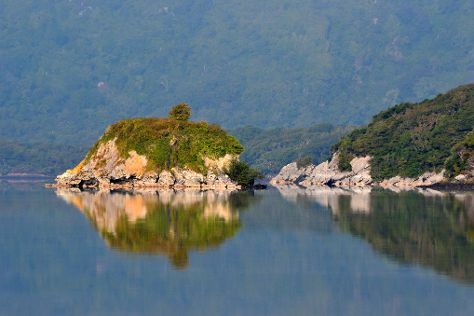 Start off your visit on the 23rd (Fri): explore the striking landscape of Killarney National Park. Keep things going the next day: appreciate the views at Gap of Dunloe, contemplate the long history of Muckross Abbey, and then steep yourself in history at Muckross House, Gardens & Traditional Farms. To find maps, traveler tips, reviews, and other tourist information, read Killarney vacation builder. Drive from Galway to Killarney in 2.5 hours. Alternatively, you can take a bus. Expect a daytime high around 20°C in June, and nighttime lows around 13°C. Wrap up your sightseeing on the 24th (Sat) to allow time to travel back home.